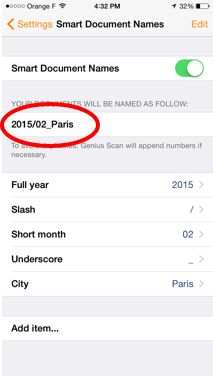 By default, documents in Genius Scan are named following the pattern 2015-02-21 19:55. 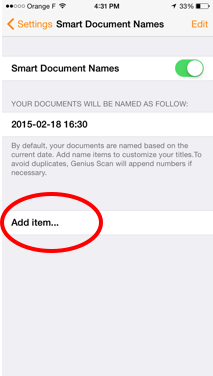 The Smart Document Names feature allows you to customize the way your documents will be named based on the date, time, location or any additional text. 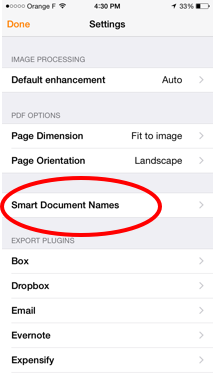 Turn the Smart Document Names on. 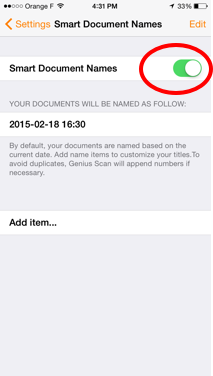 Check the sample document name. 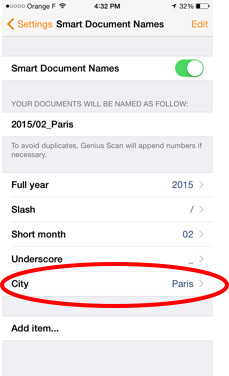 It shows you how the documents will be named.